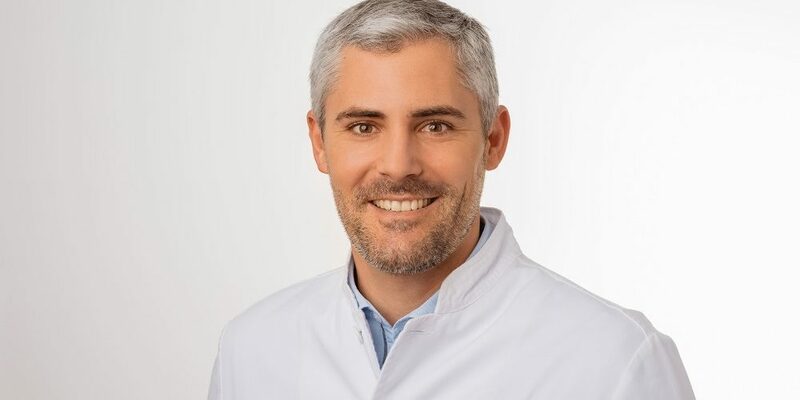 Medical expertise for sports injuries and trauma surgery will be presented by our specialist Dr. Alexander Rauch at the 2nd annual Kitzbuehel Symposium for Sports Orthopedics and Traumatology. Acclaimed national and international participants will obtain information in the lectures about complex situations in sports orthopedics and sports traumatology, and will learn from Dr. Rauch how new standards are set with optimal treatment after skiing injuries on-site, at the skiing resort. Despite all caution and excellent preparation, injuries on the slopes are unfortunately part of daily skiing routine. „If temperatures are low and the snow is hard, impact injuries are experienced, which most often affect the knees, shoulders, and collarbones. If temperatures are mild and the snow is softer, skiing accidents with injuries to ligaments are more prevalent.“ explains our expert for sports injuries and trauma surgery, Dr. Alexander Rauch. Seamless medical care and treatment is vital after any sort of injury. Under ideal circumstances, first aid and initial treatment takes place directly at the ski resort or in a nearby hospital. After an initial diagnosis, imaging techniques such as MRT or CT deliver more specific information about the extent and scope of injuries suffered. Thereafter, personal clarification about findings takes place, and individual therapy and treatment recommendations are discussed. „In many cases, patients do not have to undergo surgery on-site. A period of regeneration can often be very helpful, allowing swelling to recede and the patient’s general state of health to improve“ clarified Dr. Alexander Rauch. Leading clinics with focus on sports injuries then assist with transportation back to the patient’s place of origin, so that appropriate treatment and therapy can begin. Our partner, Christa Kinshofer Skiklinik in Munich, is specialized in the treatment of injuries incurred during winter sports, and provides assistance on-site via an emergency hotline number as well as helping the patient with the initiation of suitable treatment and therapy. This support ranges from consultation, to the organization of imaging diagnostics in Munich, to help with transportation back to the patient’s desired destination. „Anyone who has ever lain injured in cold snow knows how many questions suddenly go through their minds. Falling through the cracks in the anonymity of a skiing resort is many patients’ main concern“ according to Dr. Alexander Rauch. „Our partner, Christa Kinshofer Skiklinik, is available via an emergency hotline number Mondays through Sundays and therefore leaves no patient to face a skiing injury alone“. In addition to personal assistance via the emergency hotline number, we help to facilitate targeted diagnostics and treatment or therapy after a skiing injury, forming the basis for rapid recovery. So that after an injury, skiers are not only quickly back on their feet, but back on the slopes. Our expert, Dr. Alexander Rauch, would be happy to answer your questions about sports injuries and accidents in a personal meeting. Please make an appointment. Dr. Alexander Rauch is looking forward to seeing you!